Last Monday, I wrote about the first ever documentary film on the sugar industry in Negros, PUREZA. Last night I attended the premier showing and came out of the movie house feeling sad and in deep thoughts. I was unusually silent, which is so uncharacteristic for someone who is normally garrulous. Driving alone on my way home, I felt the profound effect of the film on me. The film started with the story of the sacada, moving on to the beginnings and evolution of the sugar industry, it's ups and downs, to the present time and the future. It is a disturbing documentary because it is brutally honest and courageous that needs to be seen and heard if we want to save the lives of those dependent on the sugar industry. It definitely stirred in me dormant memories of a time I would rather not remember. You see, my family became victims too of those dark days. We lost our home of 27 years because of the sugar crisis. How? Well, after years of being leased, my father decided to manage their family's small farm in Cadiz City. This was in the early 70's when they were having many problems with the lessee. Unfortunately just as my Dad was beginning to get the farm running and profitable, my youngest brother had his accident which put him in the hospital and rehabilitation for a year. My dad had to travel to and from Iloilo where my brother was confined, as well as manage the farm. To make matters worst, the sugar industry took a sudden downturn. It is to my Dad's credit that we did not lose the farm unlike many others who faced foreclosure. That's because instead of the farm, he put up our house and 1000 square meter lot as collateral for the crop loan from PNB. Years later, when we moved to a smaller home in a smaller lot, an interested buyer bought our old house for Php550,000 (actual arrears was Php600,000) which was paid directly to PNB. The loan principal was only Php120,000! When the Sugar Restitution Bill was finally passed, PNB refunded us back Php90,000. By the time my brother was finally able to come home, my parents were jobless, the farm unplanted while my other brother and I struggled to continue our studies in Manila. Although life was hard, it wasn't bad maybe because my parents raised us to live simple lives. 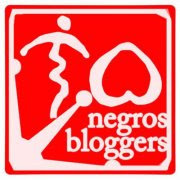 We did not have the same kind of lifestyle as those others in Negros (of course, we were never as rich). We never owned a brand-new car (second-hand was good enough for us), never travelled except to visit our maternal grandparents in Manila (taking a boat, at that), never bought branded things, never spent more than we needed. If there were things we wanted, we saved for it. We did enjoy dining out once in a while, watching movies and going to the beach as a family. I think our biggest luxury at that time was our education (we went to good schools), and books. Until today, we have books that we have not yet read. Looking back, I realize that even if we had to do away with many things, our lifestyle did not drastically change...we just simplified our life some more. But after seeing PUREZA, I told myself that is nothing compared to the life of the workers in the haciendas. For us who live a relatively comfortable life, seeing the life of the sacada can be gut-wrenching. This is what I felt when I saw the documentary. Somehow, I forgot that I have seen similar living conditions years before and at that time, my reaction was the same. How could I forget? Was it because it was not in our farm? To be honest, I have been to our farm only 3 times in my lifetime...and I did not even walk around. Since it has always been leased (except for those few years that my Dad worked on it), we had no relationship with the families who lived and worked there. I can only remember Tyo Kisin who was a trusted foreman of my grandfather and some of his children. Or maybe because then I thought I was judging this by my standards and I convinced myself that it is all about perception. After all, when a family friend once said that he was feeling sorry for the sacadas because they were working barefooted in the fields...my Dad told him "they are used to that kind of life, so it's not a sacrifice for them; now if it were you doing that kind of work...that is a different story". This is not to say that the farm workers and the sacadas do not deserve better...they do and they should. What I am trying to say here is that solving the plight of the sacada is not the solution to the problem...it's just that it is the one that is visible to those who are critical of the industry. However, like what the documentary says, the sugar industry has to shape up...or else. There are economic, political and bigger social issues involved. But once you solve the bigger problems, the sacada's life will also improve. It is not going to be easy as there are so many stakeholders involved and market forces to overcome. The people interviewed gave many opinions and they all agree on one thing, it is partially our fault. Putting blame aside and the fact that we only have till 2015, I hope this documentary film once it is shown to the concerned public will be the catalyst that will mobilize all stakeholders as one force to save the sugar industry. I pray that whatever gains this film makes won't stop after watching it. This film was not meant to entertain but to inform. It is not enough to just watch and talk about it. There is still time. To Director Jay Abello and his team, to Mr. Joey Gaston, SRA Chair Gina Martin, Agnes Villar....Madamo nga salamat, Bravo!!! 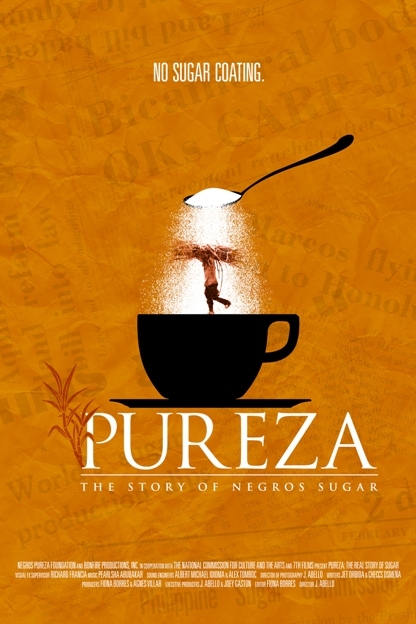 Important UPDATE: PUREZA will be shown at Rockwell on May 31, 2012. For those living in MetroManila, I hope you can get to see it or better yet, don't miss it!